Originating in Central and South America, acai berries have been touted as offering health benefits beyond those of typical fruits, including weight loss and anti-aging. In turn, many acai-containing products, such as acai juice and acai extracts, have been developed and promoted for these purposes. 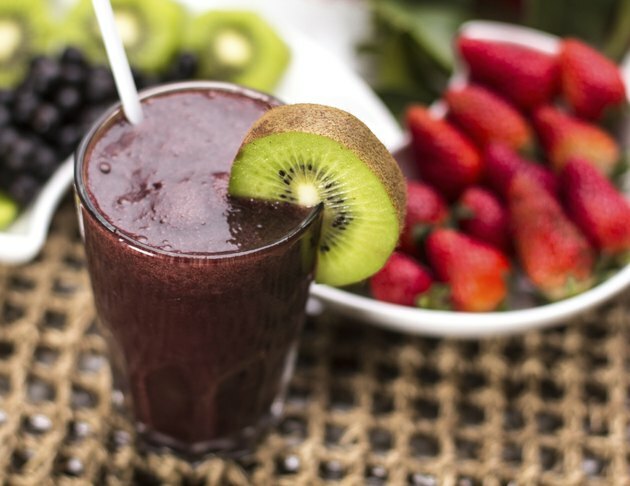 While scientific evidence has not substantiated all of the claimed benefits of acai berry juice, several studies suggest it has powerful benefits for the body. According to a March 2010 study published in "Pharmaceutical Research," consumption of acai berries successfully inhibited growth of esophageal cancer in rats. Researchers attribute this result to the high levels of antioxidants in acai berry juice. The study was conducted with seven different types of berries, all of which were shown to be equally effective in cancer prevention, indicating acai berry juice may not be any better at preventing cancer than other berries. An October 2008 study from Texas A&M University's "Agricultural Communications" found that antioxidants from both acai berry pulp and juice are successfully absorbed by the human body. Antioxidants, usually in the form of vitamins and minerals, function by protecting immune cells from oxidative damage of compounds known as free radicals in the body. The antioxidant content in acai berry juice therefore provides immune system benefits similar to those of other berries. Metabolic diseases, including cardiovascular disease and Type 2 diabetes, are often associated with obesity. In a May 2011 study published in "Nutrition Journal," twice-daily consumption of acai pulp had a positive effect in reducing fasting glucose and insulin levels as well as reducing total cholesterol, though blood pressure was unaffected. More research is warranted to confirm these effects. According to a January 2009 review from "Clinical Nutrition and Metabolic Care," berries rich in antioxidants like the acai berry are beneficial in maintaining cognitive function in aged animals. Certain antioxidants are thought to soften stress-related neural signaling and promote the health and capacity of neurons throughout the aging process. This makes regular consumption of acai berry juice, which is rich in antioxidants, potentially useful in staving off age-related cognitive decline.